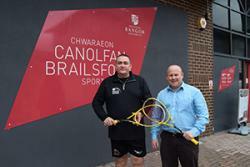 Launched at Canolfan Brailsford, Bangor University’s sports centre recently, the partnership will offer the best young squash players the opportunity to study in Wales whilst receiving a tailored support package from WSRB. Through a mixture of Bangor University sports scholarships and individualised coaching, Bangor University and WSRB will be able to offer student-athletes a realistic alternative to having to study outside of Wales in order to meet the demands of their squash training. 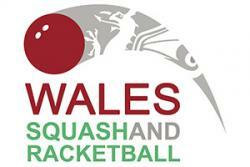 As part of the partnership, WSRB North Wales Regional Development Officer and junior national coach, Andrew Evans will be based at Canolfan Brailsford from September 2016, giving athletes access to the highest quality coaching and benefit of his experiencing coaching over 40 Welsh champions. Andrew will also be working with the University squash club to improve their performance in British Universities and Colleges Sport (BUCS) competitions. Bangor University is investing in the first professional standard squash court in north Wales, with an adjustable “tin” being installed to help athletes prepare for life on the professional squash tour.